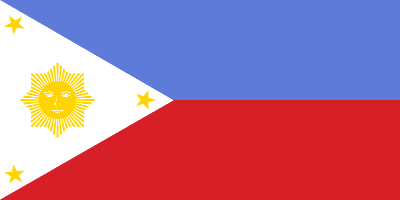 Today is the 110th Philippine Independence from Spain as declared by the Filipino revolutionary forces under then General, Emilio Aguinaldo, who later became the 1st Republic of the Philippines President. Macapagal’s proclamation carried with it serious historical, political, and legal implications on the struggle of the Moro people for self-determination, and on the macro level, the Moro-Filipino relations. At the juncture of Macapagal’s proclamation, the Philippines as a country was reverted to its delimitations provided for by the Maura Law of 1893 wherein it stated that the territorial jurisdiction of Las Islas Filipinas covered only Luzon and the Visayas. Therefore, the independent territories of the Bangsamoro people which were not colonized by Spain and respected by Aguinaldo were deemed excluded from the territorial jurisdiction of the Republica Filipina, i.e. Luzon and Visayas as of June 12, 1898. By all indications apparent to the shifting of independence day from July to June 12, the Philippines evidently reverted to its original territorial delimitation defined under the Royal Decree of February 26, 1886, the Maura Law of 1893, and the Royal Decree of July 15, 1896 which all affirmed the independence of the Moro territories from the Spanish-held territories of Luzon, Visayas and some Pacific islands. Macapagal further spoke in that historic speech of an “entire nation” who came into being which was galvanized by Aguinaldo who brought to life the “aspirations of all Filipinos,” and who declared Filipinas “free” from Spain. Alas, Macapagal’s very tongue had spoken the truth behind the controversy. The Moros are grateful forever to President Macapagal for disclosing the fact that the Filipino nation Aguinaldo spoke of excluded the Moros whose Sultan in Sulu he would cordially address in January 1899 as “great and powerful brother,” a diplomatic address befitting only heads of state and government like the Sultan of Sulu, for example. This is just the surface of the controversial "Philippine Independence Day", an important day in our history and existence which we are still divided. We may have gained independence from the colonizers, but we are still a conquered nation, a divided people, due to our lack of unity and openness to each other, our very own Filipino brothers and sisters, YOU and me. So what do you think? Have you researched about our History beyond what the government has legalized and beyond what's written in textbooks? Give us your thought and opinion, for after all - legally speaking, it is our 110th Independence Day today.